There’s a science to better building. That’s why DuPont is committed to using our dynamic science and building knowledge to discover and develop integrated systems, unrivaled technical support services and innovative products to help deliver better homes. 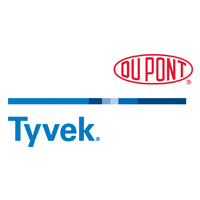 DuPont™ Tyvek® Building Envelope Solutions provide superior protection against the elements. From pioneering products such as DuPont™ Tyvek® HomeWrap® to Tyvek® DrainWrap® or other specialized wraps, to flashing products and fasteners, DuPont™ Tyvek® Building Envelope Solutions help prevent air and water infiltration while allowing moisture vapor to escape to help reduce the chance of mold and water damage.